Sony Interactive Entertainment Australia is pleased to share a rundown of major announcements from PlayStation Experience 2017, Los Angeles. If you’d like to watch the entire PlayStation Presents keynote in full, you can watch the replay here. Listen in on candid discussions with some of leading PlayStation developers and get the latest on some of the biggest games coming in 2018. The spectacular line-up of games showcased is outlined below. There were also several interesting panels for exclusive titles coming to PlayStation 4, including Ghost of Tsushima, which you can re-watch. 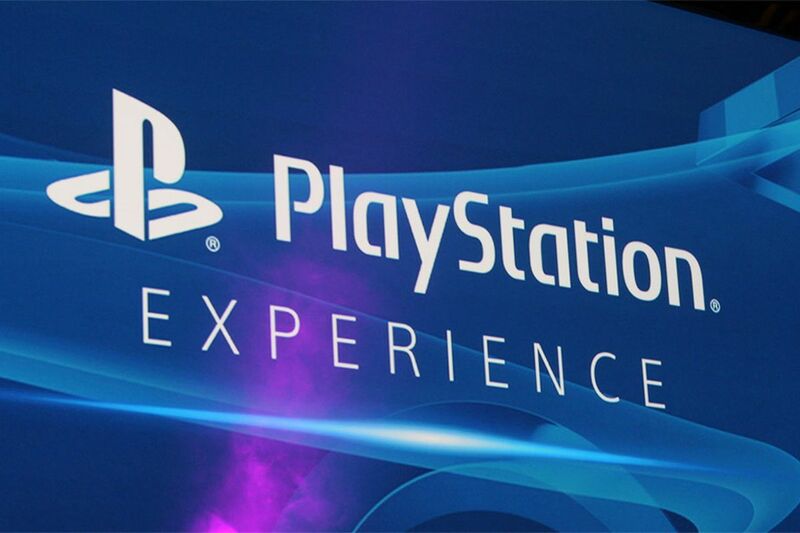 You can also take a look at the PSX show floor here to see some incredible show floor installations. Dreams (trailer) – Watch the new trailer for Media Molecule’s new ambitious project, coming exclusively to PlayStation 4 in 2018. MediEvil (trailer) – Hot off the heels of this year’s smash hit Crash Bandicoot N. Sane Trilogy, PlayStation is resurrecting MediEvil for PS4. Monster Hunter: World (trailer) – The new trailer for Monster Hunter: World shows off the breadth of the world, the characters you’ll interact with and even an unexpected cameo from Mega Man. This title will be available on PlayStation 4 from 26 January 2018. Soul Calibur VI (trailer) – The sixth installment of the SoulCalibur will be available in 2018. Legendary warriors Heishiro Mitsurugi from Japan and Sophitia Alexandra from Greece, who first appeared in Soul Edge back in 1995, are back for this title. They’ll join a cast of characters, which we’ll reveal through the upcoming months, compromised on both new and returning fighters. Concrete Genie (trailer) – Check out the brand new gameplay demo of Concrete Genie. Make artwork come to life in this emotional action adventure, exclusive to PS4. Patapon 2 Remastered – The beloved second entry in the Patapon series is marching its way to PS4 in 2018 in resolutions up to 4K! With a whole slew of new features, including eight drum rhythms, new Patapon types and evolutions, Patapon 2 Remastered is sure to keep you bobbing to the beats for hours on end. Children of Morta (trailer) – Become a member of the Bergson family as you hack and slash your way through hordes of enemies in this procedurally generated, narrative driven story either alone or cooperatively. Available in 2018. Flipping Death – Welcome to Flatwood Peaks, a small whimsical town with a problem - death is on vacation! Help the ghosts with their curious problems while also solving the mystery surrounding your own demise in this new puzzling adventure. Available in 2018. Guacamelee! 2 (trailer) – Watch the playable demo of Guacamelee! 2 for the first time. You can play 4-player co-op as characters Juan, Tostada, X’Tabay and Uay Chivo. Meet the Chicken illuminati and unlock cool new chicken abilities. Hover (trailer) – Experience the thrills of a fast-paced single and multiplayer Parkour game. Join the Rebellion and deride the security forces of an anti-leisure tyranny. Moonlighter (trailer) – Moonlighter is an Action RPG with rogue-lite elements that demonstrates two sides of the coin – revealing everyday routines of Will, an adventurous shopkeeper that secretly dreams of becoming a hero. Coming to PS4 in 2018. Mothergunship (trailer) – Coming in 2018, Mothergunship is a bullet-hell FPS where you can craft gun monstrosities that no reasonable person could ever lift, fight gigantic bosses, play together with your friends, and defeat a robotic armada that conquered Earth! Omen of Sorrow (trailer) – Clear your mind, clench your fists and get ready for a wicked battle. Powered by Unreal Engine 4, Omen of Sorrow delivers a deep 2D battle system inspired by the classics. Get the demo now! The Church in the Darkness - What happened to Alex? To find out, travel to South American and infiltrate the Collective Justice Mission, a secretive cult where nothing is what it seems. Coming to PS4 in 2018. The Forest (trailer) – PlayStation is extremely excited to bring The Forest to PS4 in 2018. Craft weapons from sticks and stones, chop down trees to make a base and fight to say alive against a viscous enemy force. Tower 57 (trailer) – This game is a fast-paced neo-retro shooter where cooperation is as important as your ammo capacity. As a member of an extraordinary task force fight for your way through a dieselpunk megatower and uncover its hidden secrets. Coming to PS4 in 2018. Wattam – The latest game from Katamari Damacy creator, Keita Takahashia. Grab a friend and join the mayor to explore the world of Wattam together as you run, jump, climb, hold hands, explode and more with colourful characters that will surprise you at every joyful turn. Coming to PS4 in 2018. The Last Guardian VR – Landing on PS4 this Tuesday, The Last Guardian VR demo is a special virtual reality experience, showcasing the bond between Trico and the boy. It will be available for free from PlayStation Store for all owners of The Last Guardian. WipEout Omega Collection (trailer) – Attention all anti-gravity pilots, it’s time to suit up once again. Prepare to see the world of WipEout in a whole new way as you blast around Omega Collection’s tracks in PS VR via a free update. This will be playable on PS VR in early 2018. Firewall Zero Hour – This title is a team-based, tactical multiplayer FPS coming exclusively to PlayStation VR in 2018. In Firewall Zero Hour, two teams of mercenaries are hired by anonymous contract handlers to either protect or obtain highly sensitive information on a laptop in dangerous and exotic locations around the globe. Rick and Morty: Virtual Rick-ality (trailer) – Rick and Morty: Virtual Rick-ality is a great way to question your self worth, and we’re excited to give PlayStation VR owners the chance to do just that in 2018 with Virtual Rick-ality comes to PS VR. This title will be available in 2018. Shooty Fruity (trailer) – A manic mash-up of immersive job simulation and gunplay, Shooty Fruity is coming to PlayStation VR on December 19. Scan, serve and pack produce whilst shooting guns to defend your store from a mutant fruit uprising. Gungrave VR – Gungrave is coming back from the dead after 13 years, in PS VR! The freshness of action will make your brain work for the strategic battle. Knockout League (trailer) – We’re excited to announce that Knockout League is coming to PS VR. Train with a speed bag, step up your skills with the focus mitts, or see how long you can survive in Reflex Alley. Fight your way through nine crazy characters to become the Knockout League Champ. Blood & Truth (trailer) – Blast your way through the London underworld in a spectacular PlayStation VR action thriller. Watch the trailer to see a new gameplay demo where you are elite Special Forces soldier Ryan Marks on a desperate mission to save his family from a ruthless criminal overlord. The Persistence – Time to steel yourself! The generated horrors of The Persistence are coming to PlayStation VR in July 2018. Head to the PlayStation Blog for further information on all announcements made at PSX.